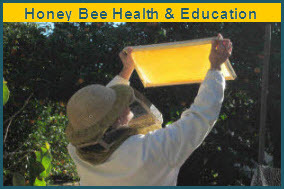 On June 20, 2014, President Obama issued a directive to federal agencies to create a federal strategy to promote honey bee and other pollinator health. The President’s directive created a Pollinator Health Task Force, co-chaired by EPA and USDA, and charged federal agencies with expanding federal efforts and taking new steps to reverse pollinator losses. Scientists believe that honey bee losses are likely caused by multiple stressors, including poor bee nutrition, loss of forage lands, parasites, pathogens, and pesticides. EPA will address the role of pesticides and take action, as appropriate, to protect pollinators. Read President Obama's directive. Two important tools are being released today as part of EPA’s ongoing actions to protect pollinators. These and other EPA pollinator protection efforts complement those of the USDA, the lead federal agency tasked with identifying and mitigating the causes of U.S. honey bee decline. EPA's New Pollinator Risk Assessment Guidance: EPA has posted its new Pollinator Risk Assessment Guidance online. The guidance is part of a long-term strategy to advance the science of assessing the risks posed by pesticides to bees, giving risk managers the means to further improve pollinator protection in our regulatory decisions. 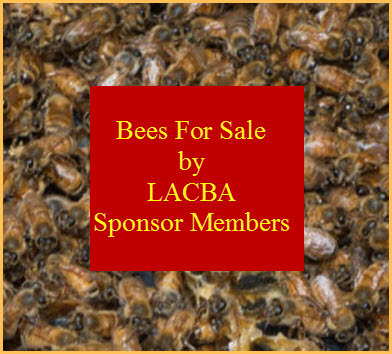 Among other things, EPA anticipates the guidance will allow the agency to assess effects from systemic pesticides quantitatively on individual bees as well as on bee colonies. The guidance, developed in cooperation with the California Department of Pesticide Regulation and Health Canada’s Pest Management Regulatory agency, builds upon our ongoing efforts to advance the science of pollinator risk assessment. We are already implementing elements of the guidance in our ongoing registration review of neonicotinoid pesticides as well as in our other pesticide regulatory work. The agency is currently reviewing new data we required of the registrants, including refined semi-field studies under more real-world application conditions. Other data from ongoing full-field studies will take up to several years to complete. RT25 Data Now Online: At the request of beekeepers and growers alike, the agency has also posted our Residual Time to 25% Bee Mortality (RT25) Data online. Bees may be susceptible to harm from direct exposure to pesticides sprayed on flowering plants, but pesticide residues generally decrease in toxicity as the spray dries and time passes. Farmers and beekeepers can use EPA's RT25 data to gauge the amount of time after application that a particular pesticide product remains toxic enough under real-world conditions to kill 25 percent of bees that are exposed to residues on treated plant surfaces. Some have used this information to select pesticide products with shorter periods in which the chemicals remain active and can affect bees.